Reply probably to Dr Thomas Gillespie headed 'Mr Crauford of Doonside'. 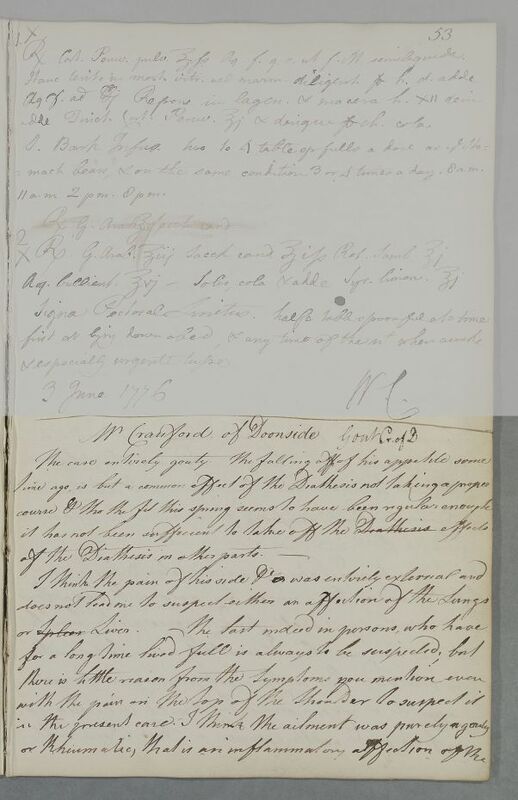 The recipe refers readers to recipe for Lord Cathcart on p.53 [see previous document, ID:3824]. 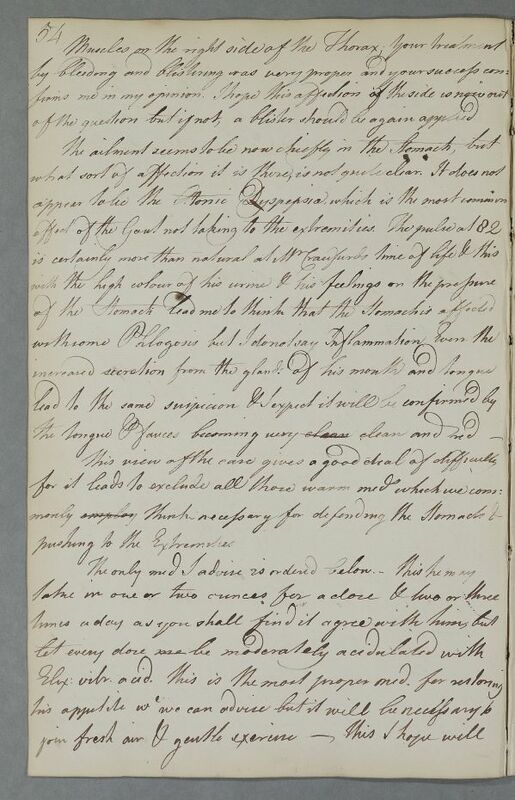 Summary Reply probably to Dr Thomas Gillespie headed 'Mr Crauford of Doonside'. 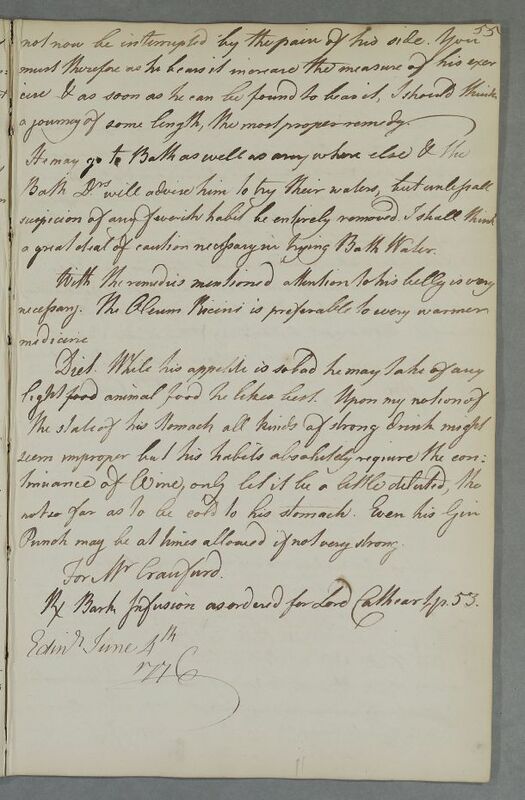 The recipe refers readers to recipe for Lord Cathcart on p.53 [see previous document, ID:3824]. a journey of some length, the most proper remedy. a great deal of caution necessary in trying Bath Water. Punch may be at times allowed if not very strong. 1: Refers to the recipe for Lord Cathcart on p.53, for which see previous document, ID:3824.